Do We Really Have A Choice Under America’s Current Health Insurance System? On Tuesday, October 13, my wife and I attended a seminar hosted and presented by Dr. Simon Yu, MD. He is the founder and resident doctor of Prevention and Healing Inc., located in the suburbs of St. Louis, MO. At this seminar, Dr. Yu gave a presentation that was a repeat of one he gave the previous weekend at the Sixth International Medical Conference – Bio-Cybernetics & Energy Medicine The Vital Links to Vibrant Health. My wife already knew Dr. Yu and she encouraged me to attend. Every month, he offers a free seminar which is open to the public. I found the environment to be friendly and welcoming at the one I attended on October 13. 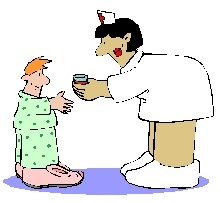 I have always thought I should be responsible for choosing my medical care provider(s). Since Dr. Yu practices the use of “alternative” medicine, his seminar gave me an opportunity to explore non-traditional medical care. Of course, non-traditional medicine is often in the “eyes of the beholder.” Many different places in the world would consider our traditional medicine to be non-traditional. A toast to our health care system! The seminar was interesting and enlightening. It was an “eye-opening” experience for me. Dr. Yu explained how, using modern science and old traditional medical concepts and techniques, he is able to truly follow the old medical adage, “do no harm.” He also focuses on the whole body while treating his patients. The seminar was well-attended with a diverse group of people that seemed, from the questions they asked, to have different and serious health concerns that weren’t being addressed by “regular” doctors. I used “regular” in the previous sentence because Dr. Yu practices complementary and Alternative Medicine in addition to doing what a “regular” internist does. OK, so why the title, “Do we really have a choice under America’s current health insurance system?” My wife and I have expensive health insurance that does not pay for visits to Dr. Yu’s office, the expense of his evaluation methods nor most of his prescribed medicines. I mean the insurance doesn’t pay in the sense that the company doesn’t approve of him or his methods. It has unreasonable deductibles that must be met before an extremely small percent of the bill is payed to us as reimbursement. Using our current health insurance, if we would like a second opinion and the insurance company approves it, then we must get that opinion from a source that most likely thinks and practices medicine similar to the first opinion. The second opinion will often times be based on a new test, but that test will be done in the same manner as the first. Therefore, the results will most likely be the same unless the first test was somehow flawed. What we really need is not a second opinion necessarily, but instead, another point of view. Our insurance doesn’t value different points of view. We are encouraged to have tests, see doctors, purchase medicine, etc. based on what the insurance will pay for. Of course, if we can afford it, then we can pay the premiums required by the insurance, have them pay as much as they will toward our health care and we pay the rest. Where is our choice? We choose from a list they gives us. We choose from a list of pharmacies that the insurance company gives us. We choose from a list of labs that the company gives us. We choose from a list of …….. Instead of choosing from what is best for us, we are choosing from a list that allows the insurance company to make a higher profit. At least, I think that is why the insurance company won’t allow us our choice. Why doesn’t the insurance company allow the patient to choose any doctor, then pay the same amount, no matter what doctor is chosen? Stephen Hemsley made $3 mil. in 2008 and is helping me with my choices! One last point. My wife and I have UnitedHealthCare Insurance whose parent company is UnitedHealth Group. 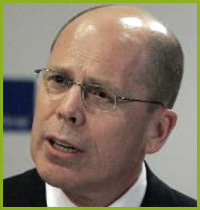 The CEO of UnitedHealth Group is Stephen Hemsley. Last year his total compensation was $3,241,042. Do you choose to make a comment? This entry was posted on Thursday, October 22nd, 2009 at 1:00 am and is filed under health care, R2, Ron Rogers. You can follow any responses to this entry through the RSS 2.0 feed. You can leave a response, or trackback from your own site.